Johnson HR is a HR firm specialized in recruitment Turkey projects. During an appointment we’ll define together your target and gain an understanding of your company culture. Then we establish with you the profile of your Turkish candidate. Most of our customers are international firms wishing to develop their activities in Turkish Market. Johnson HR, as Turkey HR expert, sends you a proposal containing all the specification of your requirement, the cost and the timeframe of the recruitment. 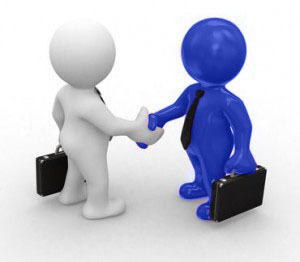 We search, identify and select relevant candidates in view of recruitment. Pre selection and interviews are realized by us then the recruitment and final selection made by you. Step 1 : Definition of the job in English. Circulation of the offer on our own network, press and internet. Short-listing of the Turkish candidates : We manage potential candidates (all telephone and written communications relating to the screening), and assess the relevance in light of the requirements of the position. Short List : We meet potential candidates. We evaluate the applications according to your criterias. Then, we present you a short list. Step 3 : Final interviews in Istanbul made by you with our assistance (Human Resources Turkey). We propose our services all over Turkey : Istanbul HR, Bursa, Ankara, Antalya… Our team is used to detect right candidate to work at right place ! Our expert team is used to offer tailored approach for each project. Your company is unique, your candidate will be unique too : that is our aim ! Our database is ready to use with active and updated resumes. Istanbul HR agency is dedicated only for your recruitment project in Turkey. Feel free to contact us for more informations. We will be glad to assist you in your projects in Turkish Market !